Our aim is to use this website to share our recorded archives and work with anyone who has an interest in homemade, community music played with gusto and from the heart. Or as our friend from Happy Valley, piano player Christine Horton would say, these musicians “jar down” when they get into it. Visiting older musicians has been our passion for the past 40 years, learning from people whose humor, self-reliance, humility and deep family traditions reside in their music. We’ve gotten to know fine musicians in communities across North Carolina—the coastal islands, the Sandhills, the Piedmont, Blue Ridge and the Smokies. As resources allowed, Wayne documented this experience on reels, cassettes, CDs and video (link Learning). For those who want to hear more, we’ve posted links to other archives and to Wayne’s projects that are available commercially. We live and work in Raleigh, N.C. Our musical mentors have passed on, but we feel so fortunate to have good friends nearby who can jar down. With Dwight Rogers and Gail Gillespie, we perform as the Happy Valley Pals. The New North Georgia Buggy Riders is our collaboration with Rich Hartness and Tolly Tollefson. Our string band Tarnation features Brett and Pan Riggs. Wayne also plays frequently with Jim Collier and Matt Haney as the Piney Woods Boys, and Margaret pairs with LaNelle Davis on country blues. Son Joe plays guitar with us when he’s home. Son Tom helped immeasurably to get this website up and running. We’ll post some of our current musical endeavors on the site, as well as music from our archives. 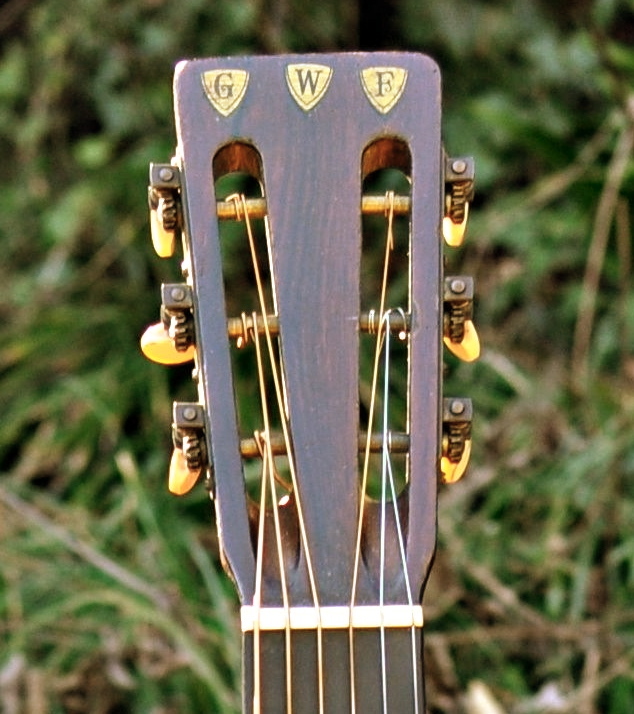 Nearly 90 years of playing jardown music—that’s what happened to the guitar pictured on the Jardown masthead. Garley Foster bought the 1927 Martin 00-18 at an Atlanta music store to play on the Carolina Tar Heels tracks produced by Ralph Peer in 1928–Roll On Boys, I’ll Be Washed, My Home’s Across the Blue Ridge Mountain…the kind of music that we’ve enjoyed and hope you will, too.